March 6, 2019 in Color patterns, Double braids, Easy braids, Tips. Gary Mitchell’s new pick-up planner for Doug’s Braid allows you to design and braid new and surprising patterns for it – patterns that might require different moves in successive rows of braiding. I’m in the middle of making an extra-long braid, so I thought I would post an in-progress photo showing my loop-shortening strategy: “Caterpillar” tie-ups. October 22, 2017 in Color patterns, Pick-up patterns, Tips. October 3, 2017 in Color patterns, Pick-up patterns, Tips. Pick-up patterns are ones that may require different braiding moves from one row of braiding to the next. The 17th C. loop braided ‘letter braids‘ were made this way. But pick-up patterning can be done in any two-layer braid – even a square braid! August 30, 2017 in Color patterns, Easy braids, Tips, Unorthodox. This is an easy, two-pass braid similar to a square braid, but with three sides rather than four. I’ve made one video each for 5-loop, 7-loop, and 9-loop Triangle braids! August 7, 2017 in Easy braids, Tutorial, Unorthodox, video. New website about Loop Braided Kumihimo! Update: Now with videos!!!! This Kute-Uchi site now has videos and tips on how to organize and handle hand-held loops in making traditional Japanese braids, including how to deal with large numbers of loops! Fumiyo Kitahara’s Kumihimo with Loops (in Japanese and English). 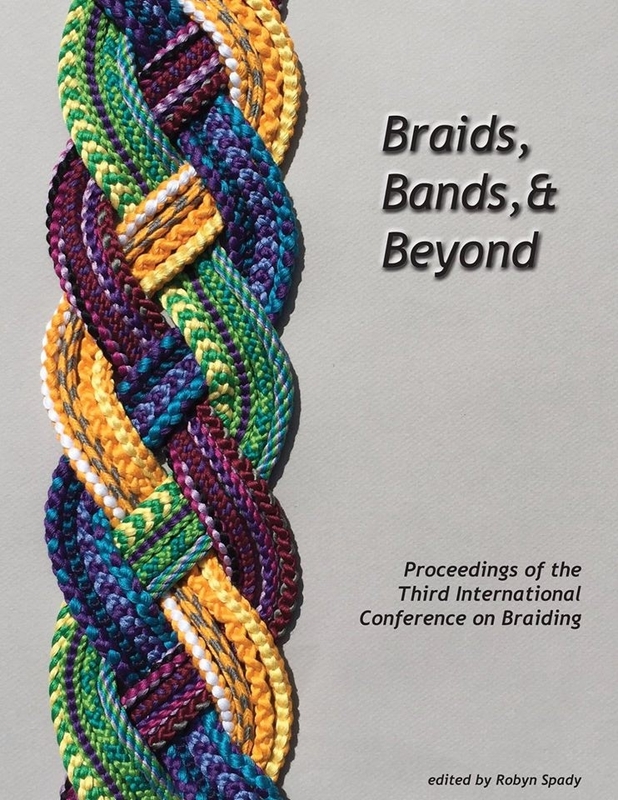 June 14, 2017 in Hand-held loop braiding, History, Kute-uchi, Loop Braiding, Original braids, Readers' gallery. October 1, 2016 in Loop Braiding, meet ups. May 3, 2016 in Hand-held loop braiding, History, Kute-uchi, Linking, Loop Braiding, Original braids. October 18, 2015 in Color patterns, Easy braids. “How I spent my summer vacation” and some braiding ideas from camp! Dominic will be teaching knotting at Braids 2016! His 2-day class is called Cylindrical Braids, which refers to nautical-type knotted ‘braids’ that can be formed around solid objects—like handles of tools, etc. August 1, 2015 in Braiding materials, Knots, Starts & finishes, Letter braids, Original braids, Pick-up patterns, Readers' gallery.